We help individuals and organizations build capacity. Each year, we’re able to affect the lives of thousands of people through a myriad of programs and partnerships. YLI exists to accomplish three goals. To create living laboratories that foster research opportunities that engage Clemson faculty and immerse Clemson students in solving R.E.A.L. problems. To create, deliver and evaluate programs for K-12 audiences that build individual capacity, address needs of schools and communities, and promote Clemson University. 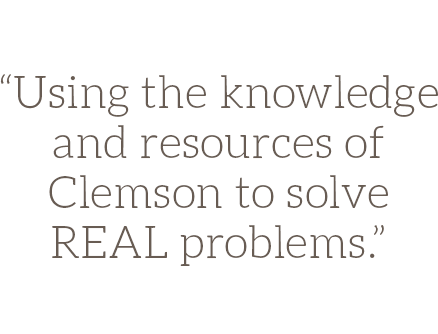 To serve as a resource to external agencies by providing access to our networks and equipping them with the best practice knowledge of Clemson University. Some of our most important work happens behind the scenes. New Horizons provides a safe place for teenage mothers in foster care to raise their children and receive the services they need to graduate from high school. Center for Behavior Analysis trains professionals and creates tailored services for marginalized populations, particularly those with autism. The Youth Development Center helps rehabilitate adjudicated adolescents in partnership with DJJ. Residents live and learn together in a camp-like setting. The Youth Learning Institute (YLI) helps fulfill Clemson’s goal of being a nationally recognized leader in innovative scholarship and creativity grounded in basic research and the land-grant mission. We accomplish this goal by developing unique public/private partnerships and creating best practice models that help individuals and organizations reach their fullest potential. YLI does not duplicate programs or services offered by others in the human service industry. Instead, we collaborate with state agencies and non-profits who may not have the resources to evaluate and improve existing services. In these cases, YLI can serve as the research and development function for these agencies. Our flexibility allows us to pilot new strategies that can be researched and used for replication by our partnering agencies. Our sites serve as living laboratories that meet the needs of the participants while also serving as a training tool for others in the industry. I believe that we will only be able to fulfill our vision as the state’s land-grant university by being an active participant in solving real problems and serving people. Together, we can develop solutions that will empower the next generation and create a better tomorrow. We build resilience by challenging students to grow through interactive learning. C-CATS gives high schoolers a chance to experience University life up close for an unforgettable weekend. Global Connections brings international students to the United States for cultural immersion. Tall Pines STEM Academy and the Youth Leadership Academy use a STEM-based curriculum to build leaders and develop character. YLI Field Studies provide outside the classroom experiences for students in South Carolina. Our services are available to help your organization navigate through the most difficult questions. ThinkShops™ trains employees in the importance of soft skills and emotional capacity. OROD offers professional research and evaluation for government and private institutions. 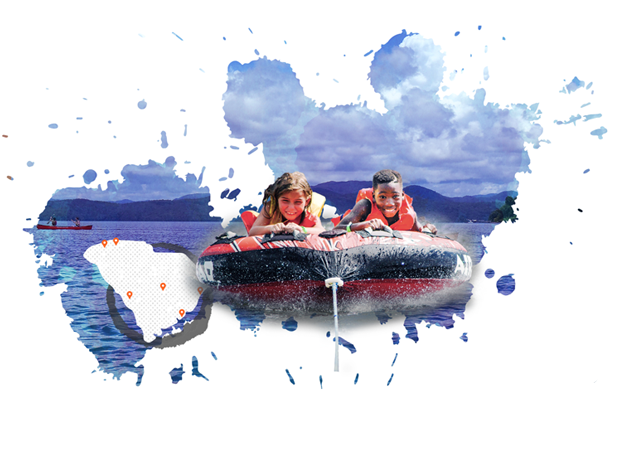 Since 1934, we’ve been hosting children for a summer camp experience like no other. Our five camps consistently get great ratings from parents and children alike.